Did you notice that the title of this post didn’t include the word “organize”? 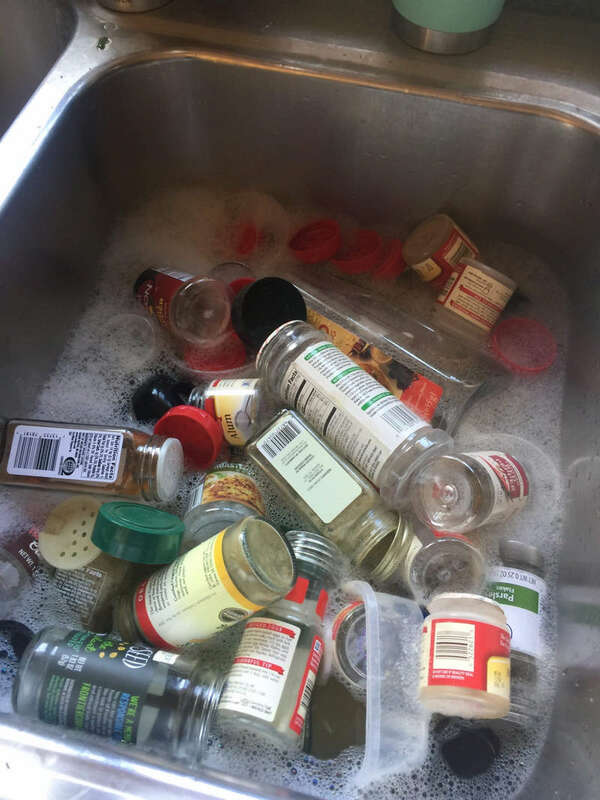 There is a very good reason for this, and that is because I don’t want to help you to organize an endless amount of herbs and spices in your cabinet! Rather, I would like to share the ease and freedom that comes from paring your spice inventory down to what you really need and use ! 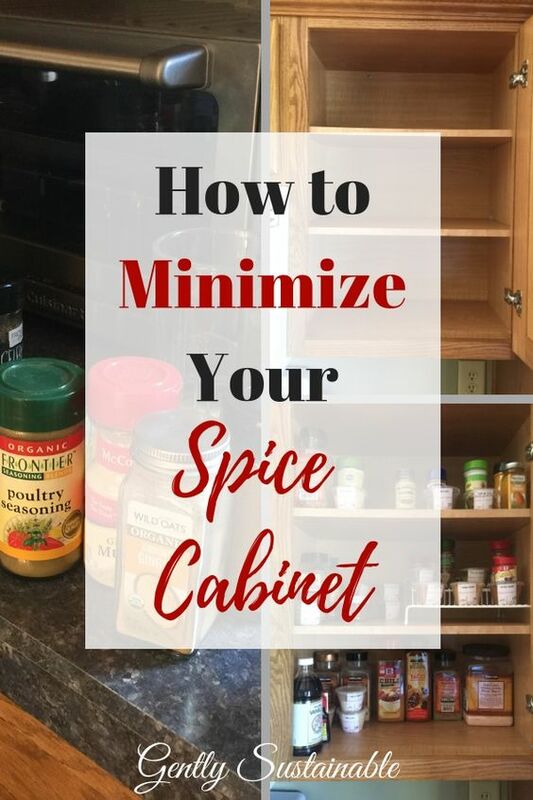 Let’s take a look at how to minimize your spice cabinet! 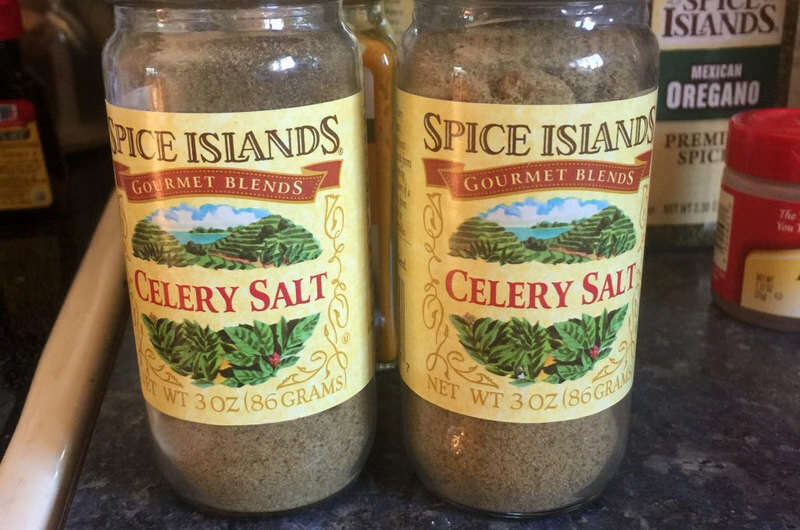 I love to buy and use herbs and spices to use in all of my cooking! However, the problem seems to be that after a year or two of neglecting my spice cabinet, it gets to be overloaded and disorganized! So much so, that I can’t find anything. 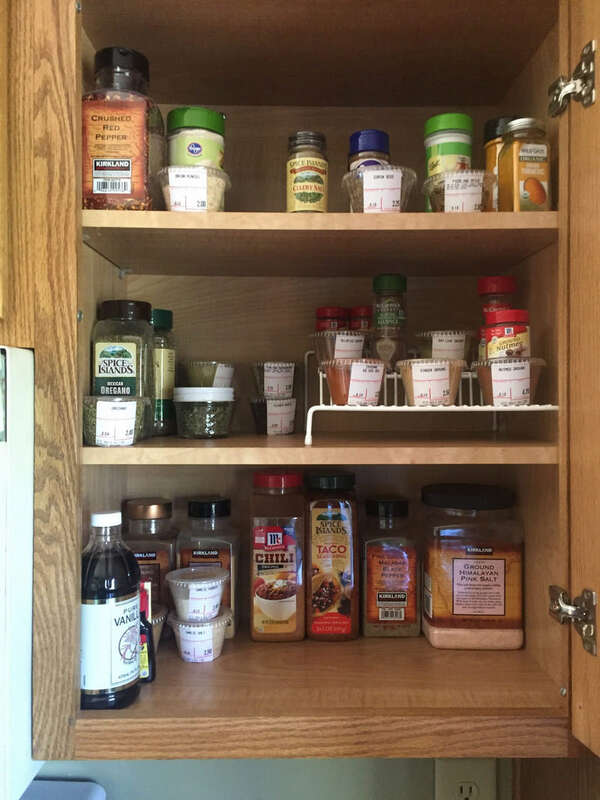 When my spice cabinet gets to this point, it doesn’t need to be organized. It needs to be gutted! So, first things first, let’s completely empty and clean this spice cabinet! Take everything out and place it all on your counter. Then, wipe out your empty spice cabinet thoroughly! Doesn’t that feel great?? Oh my goodness, this is embarrassing! What a hot mess of a cabinet! 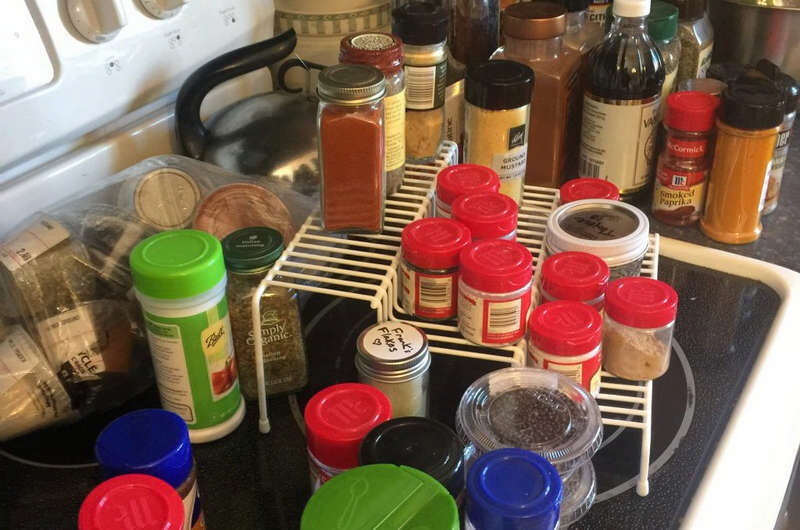 There really isn’t a good way to organize this many spices, I simply have too many. 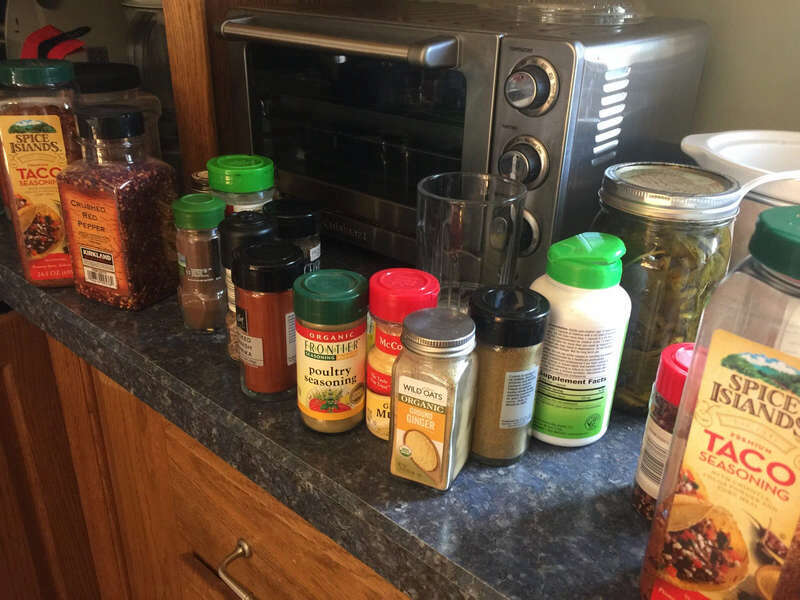 The solution to this disaster is to streamline my herbs and spices to what I use on a regular basis. Like everyone else, over the years I have purchased spices for “one-time recipes”. 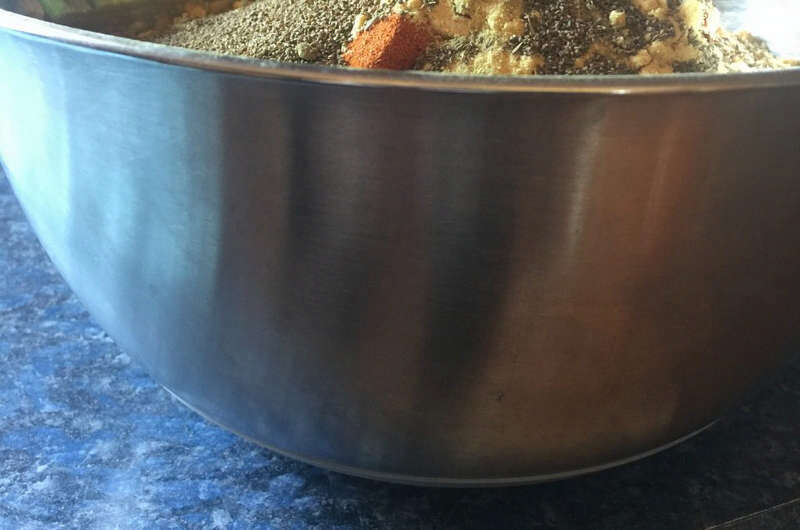 You know what happens…the spice just sits there because you never make that recipe again! Or you make it once or twice, but the point remains that you will never use up the entire spice. Ugh, I can’t believe I’m showing you this. I know I’m not the only one, though. When you don’t have order, you can’t expect to know what’s in there. You’re almost guaranteed to buy duplicates! Let’s get this cabinet under control! I’m emptying out all of the expired bottles and putting the contents into my compost pile. Then I’ll wash up the bottles and try to find a use for them…a few will probably wind up in the recycle bin. The most important part of this project is to determine what spices and flavors I truly need to have on hand. Everyone’s list is going to look a little different, but this is what I came up for my kitchen. That’s about 23 spices, which encompasses most of what I cook. All said and done, they fit very nicely in my cabinet, don’t you think? No special organizational “do-hickeys” and no alphabetizing! Just plain and simple minimizing. Actually, I hope to further reduce this spice list as I continue to add culinary herb and spices to my herb garden! There’s nothing better than fresh herbs to cook with! But, here’s my commitment to myself…I will not purchase any “one-time” spices in the future. They are too expensive and not worth it to me. 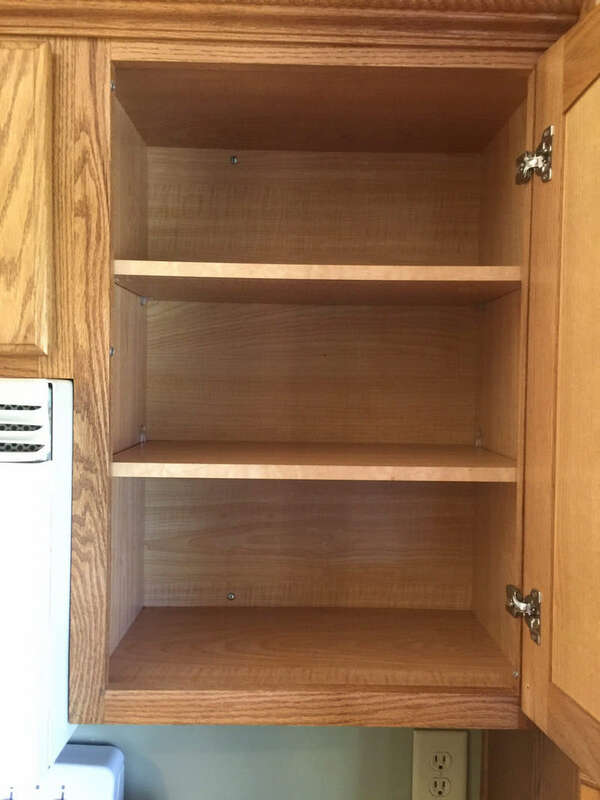 I love my minimalist spice cabinet! Yes! Such a helpful post. I have soo many of those one time buys in my cabinet. I also love the idea of throwing the old spices in the compost pile. You’ve inspired me. Thank you! Hey Sarah, thanks for your comment! Love your website!